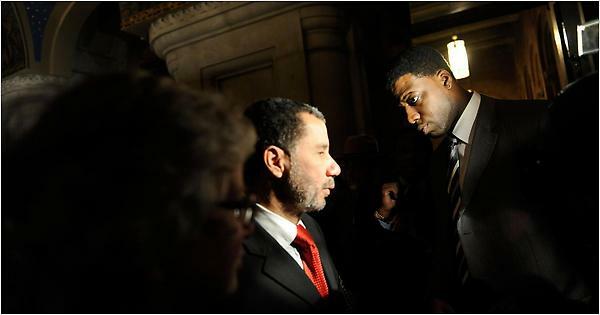 The long anticipated New York Governor Paterson New York Times story is about his aide…not him…. The much-anticipated New York Times story on New York Gov. David Paterson (D) that has had the political world buzzing is actually a profile of D.J. Johnson, the governor’s driver-turned-confidant, who faced drug charges as a youth and who supposedly threatened several women. After all the speculation, it’s really not much for Paterson to worry about. Rasmussen Polls on The California Governor race and The Louisiana Senate race……. The latest Rasmussen Reports telephone survey of likely California voters finds Republican hopeful Whitman and Brown tied with 43% each. Six percent (6%) like some other candidate, and eight percent (8%) are undecided. The latest Rasmussen Reports telephone survey of likely voters in the state shows Vitter leading Democratic Congressman Charlie Melancon 57% to 33%. Just three percent (3%) would opt for some other candidate, while seven percent (7%) are undecided. The Dog can’t believe it…but this guy is just about a lock??? From CD…..The voting starts early in the Texas Primaries……. Early voting for the March primaries began this morning, and as usual, politicians were among the first in line. 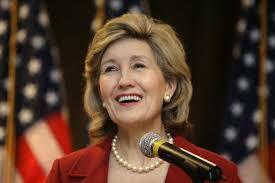 In North Dallas, U.S. Sen. Kay Bailey Hutchison, who is seeking to unseat Gov. 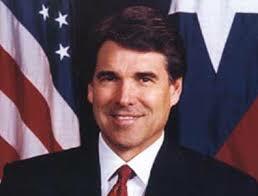 Rick Perry in the Republican primary, voted at Our Redeemer Lutheran School, just across Park Lane from NorthPark Mall. She was accompanied by her husband, Dallas bond attorneyRay Hutchison. Afterward, she talked about her latest campaign theme, urging voters to declare their independence from Perry on TexasIndependence Day — which happens to coincide with the primaries on March 2. A spokesman for the Perry campaign said the governor planned to vote Wednesday in Austin. Also casting a vote in Dallas this morning was Dallas County Commissioner John Wiley Price, who threw his support behind Democratic gubernatorial candidate Bill White. “I want the right team on the field for November,” said Price, voting at the downtown Dallas Records Building. White, the former Houston mayor, voted early in Houston. He is the front-runner for the Democratic bid in a race with hair-care executive Farouk Shami. Entering the final stretch of the primary campaign, Hutchison said she likes her chances against Perry. The senator declined to discuss polls that show her and another GOP challenger, Debra Medina, both significantly trailing Perry. Early voting continues through Feb. 26……. 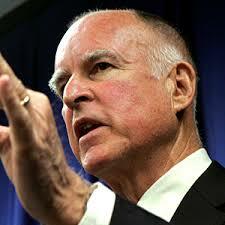 The Big Question…Can Govenor Perry break 50% and not have a GOP run-off? And here he is !!!!! Sen. Evan Bayh’s stunning decision Monday to pass on a reelection campaign in Indiana is the latest blow to a Senate Democratic majority that is suddenly within striking distance for the GOP. While the retirements of Sen. Byron Dorgan (D-N.D.) and Sen. Chris Dodd (D-Conn.) had a clear political logic to them — both involved vulnerable incumbents badly trailing their prospective opponents, according to publicly released polling — Bayh’s calculus was less obvious since he had a comfortable double-digit cushion and a nearly $13 million head start. Either way, the two-term senator’s departure now places 10 Democratic-held Senate seats at risk. If all are swept under by a November GOP wave, Republicans are back in control of the Senate. The lesson of the tumultuous past 45 days is that the contours of the political landscape can change in an instant — and a death, a retirement or a top candidate’s decision not to run can wreak havoc on the best laid political plans. It starts in Arkansas…….goes to Colorado, New York, Washington State and goes on to Pennsylvania…..
We’ll see how things go…..We have eight months to go……. 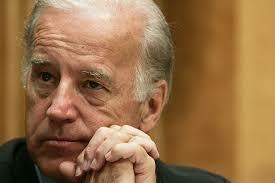 Vice President Joe Biden will head to the Middle East in early March, the White House announced today. Vice President Joe Biden and Dr. Jill Biden will travel to the Middle East during the week of March 8, 2010. The Vice President will meet with key leaders in Israel, the Palestinian Authority, Egypt, and Jordan. During the trip, the Vice President will discuss the full range of bilateral and regional issues. Among others, the Vice President will meet with Israeli Prime Minister Netanyahu, Palestinian Authority President Abbas, Palestinian Authority Prime Minister Fayyad, Egyptian President Mubarak, and Jordanian King Abdullah. Additional details about the Vice President and Dr. Biden’s trip will be released at a later date. Hillary is on her way home from the region……Odd isn’t it? 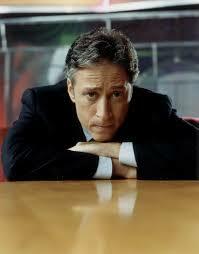 Couldn’t have anything to do with Iran…..Could it? 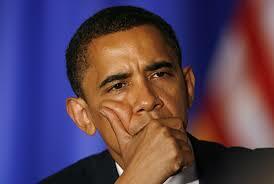 Obama is at 53% at Gallup……..49% at Rasmussen…. The Gallup daily tracking poll now shows President Obama’s approval rate at 53%, a jump of six point in the last three weeks. Gallup tracks daily the percentage of Americans who approve or disapprove of the job Barack Obama is doing as president. Overall, 49% of voters say they at least somewhat approve of the President’s performance. Fifty-one percent (51%) disapprove. To get a sense of longer-term trends, check out our month-by-month review of the President’s numbers. J.D. Hayworth is running against Sen. John McCain in Arizona…. 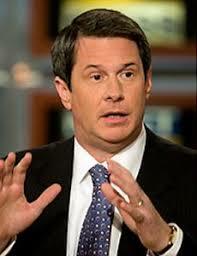 Former congressman and radio talk show host J.D. Hayworth formally announced today that he will take on Arizona Sen. John McCain in the state’s Republican primary — handing the 2008 presidential nominee what could be his toughest re-election challenge in years. 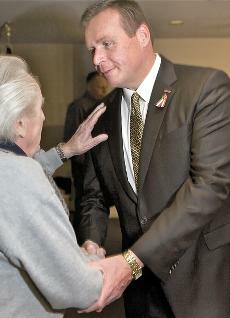 Hayworth is one of several insurgent GOP candidates running against established figures across the country. Similar races are shaping up in Florida and Kentucky, for instance. To read more about the Arizona race, check out this story that appeared in today’s USA TODAY. Hayworth began his campaign with a rally in Phoenix today and has a three-day statewide tour scheduled, according to the Associated Press. Also today, Chris Simcox, co-founder of an anti-illegal immigrant group, has dropped out of the race and will endorse Hayworth, Politico reports here. McCain told USA TODAY over the weekend that he takes every race seriously and that he will work hard for support. “I know of no other way to campaign,” he said. That effort continues with a busy schedule in his home state this week. Today he received the endorsements of 31 Arizona mayors at an event in Phoenix. McCain is “leading the fight to get our economy moving again by getting government out of the way of our dynamic private sector,” Tempe Mayor Hugh Hallman said in a statement. The primary is set for Aug. 24. The author of a New York Times piece compairs the U.S. Military policys on female’s in combat to the Israeli policy which lets females serve in any job in its Army….. While in Iraq, I was directly attached to an infantry battalion. I went everywhere they did, lived as they did and faced the same dangers they did every time I went “outside the wire” to conduct infrastructure assessments, which was nearly every day. There is nothing special or unique about what I experienced. 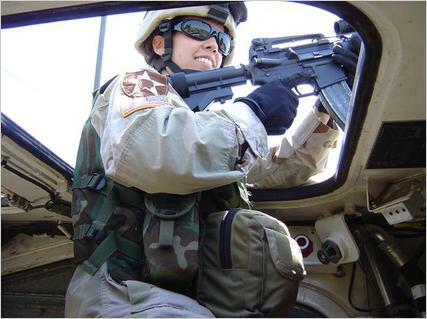 Many female soldiers have been or currently are in the same situation — going outside the wire and facing the possibility of I.E.D.’s, small arms fire and more. The fact is that as “support” we end up attached to infantry, artillery and other combat arms units, and make enemy contact. Despite this, I was blind to the big picture. I suppose I had just guzzled down the Kool-Aid and drove on. It took getting out of the Army for me to see how women in the military are truly viewed and treated. During my service I held an M.O.S. – Civil Affairs – that has a fairly high concentration of women, so my gender was nothing of note to the men I served with. Also, I was attached to an infantry unit with a command that treated me like any of the male soldiers. I pulled guard duty. I pulled security whenever I went outside the wire in one of their Strykers. I drove and maintained my team’s Humvee. I was expected to keep up whenever we had to reach a destination on foot. I was no princess, and didn’t expect to be treated like one. The country that seems to have a problem electing a female president …will probabaly ok gays to serve openly before opening combat spots to females…..
One should not forget that there have been reports of women having major problems currently serving along side men in certain Army and Marine units…..
New Jersey Senator Launtenberg hospitalized for a bleeding ulcer…. U.S. Sen. Frank Lautenberg this morning underwent an endoscopy procedure after being diagnosed with a bleeding ulcer, his spokesperson said. Lautenberg was taken by ambulance Monday night from his Cliffside Park home to an undisclosed hospital after becoming lightheaded and suffering a fall, said the spokesman, Caley Gray. Gray said the 86-year-old New Jersey Democrat was expected to make a full recovery and will be back to work soon. Lautenberg was elected to his fifth term in the Senate in 2008, defeating former U.S. Rep. Richard Zimmer with roughly 55 percent of the vote. He was thrust back into the political spotlight in recent months as his name became synonymous with two major political storylines in the state — the security breach at Newark Liberty International Airport and the Sean Goldman custody case.